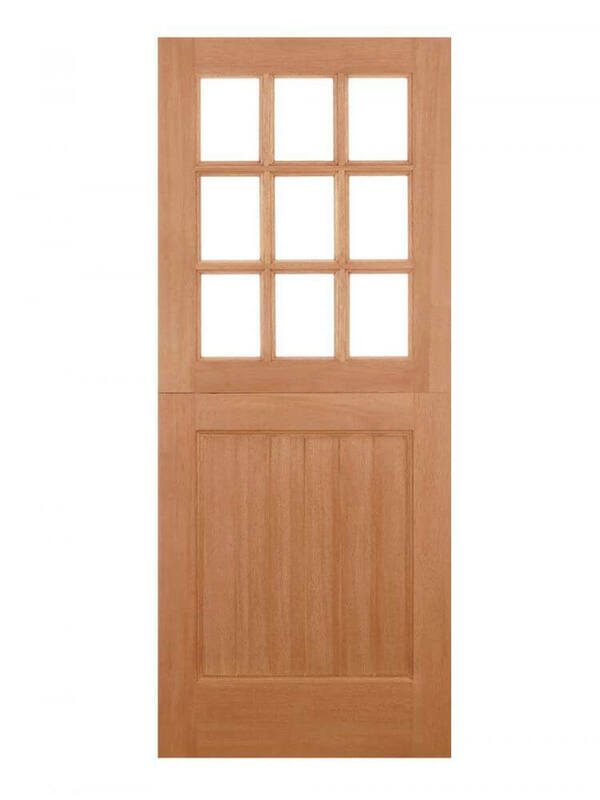 Hardwood Un-Glazed 9-Light Stable type External Door. Nine top light apertures for glazing of your choice. Hardwood veneer, Mortice and tenon construction. Easily fit to existing door frames. Hardwood Stable Straight Top Unglazed 9L M&T. Nine unglazed panels. 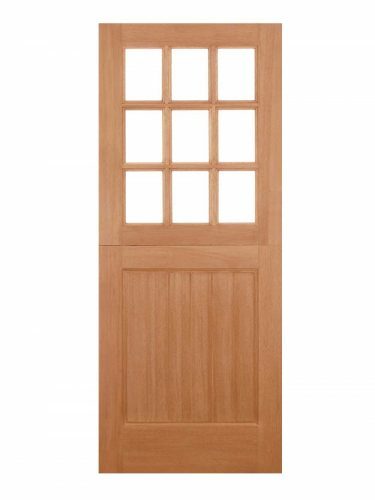 A stable door design with nine unglazed apertures. Below the nine apertures are inset panels in a hardwood material. Also this variation has a straight top finish.